It’s 10 p.m. on a Wednesday night and around 60 young men of all shapes and sizes flood into the McClain Center, an indoor training turf that neighbors Camp Randall Football stadium. But there are no footballs, helmets or shoulder pads in sight. The University of Wisconsin Men’s Rugby Club is warming up for their first practice of the season. Warm-ups and stretches progress into passing drills — backwards passes only, of course. These passing drills then morph into some game plan practice. The first practice of the season won’t stop the players from warming up their shoulders and getting into some tackling drills. The rugby club consists of players with a range of experience, some who have played since high school, others found the game when they arrived at UW, and even a handful who were picking up a rugby ball for the first time. Introducing people to rugby is a big part of the club policy, Head Coach Scott Adlington explains. “We’re a club who brings in all quality of players, so we need our existing players to start inviting their mates along and really push that side of it too,” Adlington said. But no matter their ability level or playing experience, the players all shared one in thing in common — an intense passion for the game of rugby. It may be a minor sport here in the United States but those on the UW practice field show as much enthusiasm for the sport as you would see elsewhere. 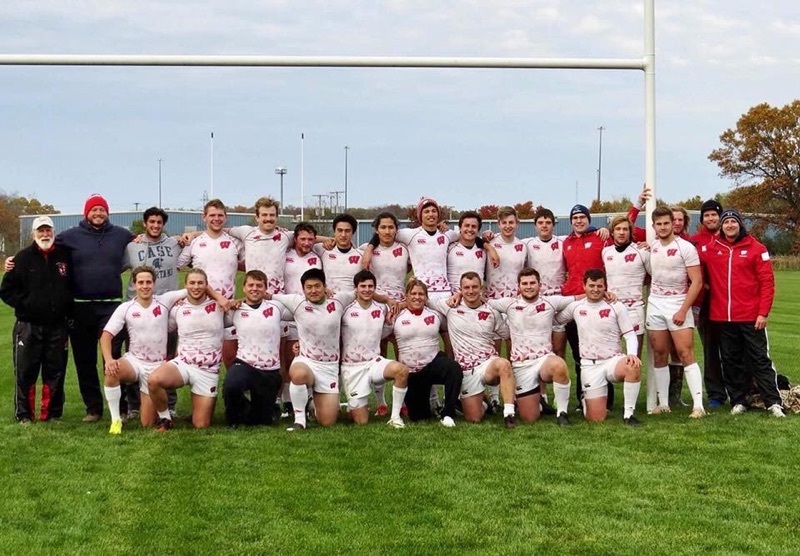 The UW Men’s Rugby Club was formed in 1977 when it split from the Wisconsin Rugby Club and became a team comprised of UW undergraduate students. The club has since enjoyed its fair share of success in the traditional 15 a side format of the game. 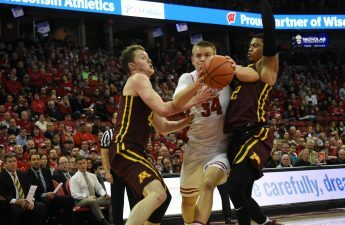 They originally played in the Wisconsin University Union championships and now ply their trade in the Big Ten 15’s Championship, a championship they have won twice since its inception in 2012. Rugby is traditionally played in the peak of winter and this is the case for college teams in places such as California and the mid-south. But because of the Midwest’s harsh winters, the Badger’s schedule is a bit different as Adlington explains. “We shut down over the winter period, and then have to look at doing some indoor training in early March,” Adlington said. This means the spring semester is predominantly sevens season for the Badgers Rugby Club. Sevens is a faster paced and more open version of rugby in which teams only have seven players per side as opposed to the traditional 15. Games are still played on a full sized field but are shorter, only lasting 14 minutes. The Badgers’ sevens schedule comprises a number of tournaments, the first of which are in April and will be played at Illinois and Michigan. 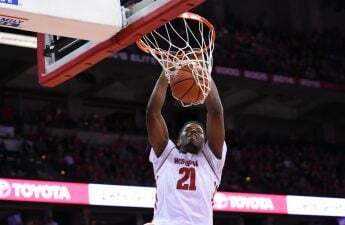 Following these tournaments, they will compete in the Big Ten Sevens Championship, which will be held on UW’s campus. Winning the Big Ten Sevens Championship means qualification to the USA National Sevens tournament, which will be held in Glendale, Colorado this year. After suffering a defeat to Ohio State in last years’ final the Badgers will be looking to go one better this year and make it to the big game in Colorado. In his fifth season as Badgers coach and with over 20 years of coaching experience the Australian-born Adlington has seen his fair share of rugby both here and abroad. In Australia, he played for GPS club in Brisbane and the Sydney University club. Since coming to the United State, he has had coaching roles with Baltimore Chesapeake, a first division club in Baltimore Maryland, the Chicago Lions rugby side and now the UW Rugby Club. So how does rugby in the United States stack up with rugby in other parts of the globe? Since arriving in the country, 20 years ago Adlington has seen a great deal of improvement. “When I first came over most of the guys I was coaching had never played rugby before and so what I was doing was taking them from being a footballer or soccer player and teaching them how to play rugby,” Adlington said. Along with players getting involved in rugby earlier, an increase in exposure is also leading to great benefits for the club, having played in National tournaments that are televised on NBC and ESPN.